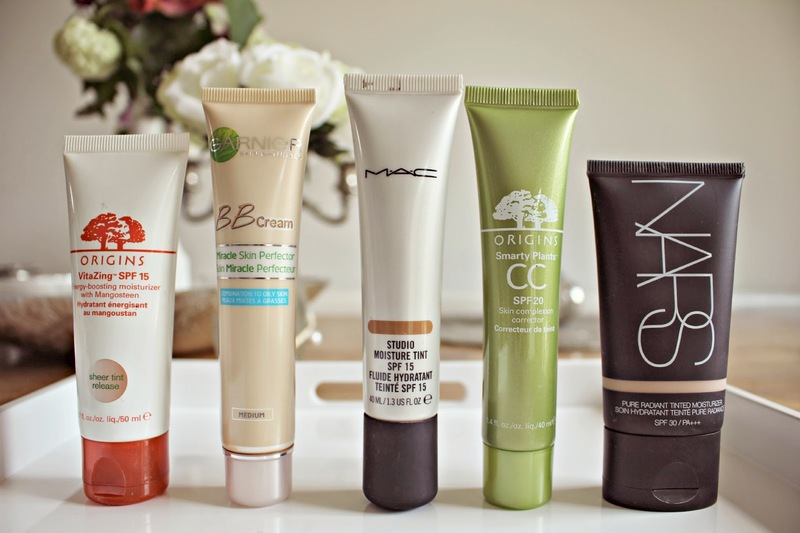 Summer Skin: Battle of the BB Creams! BB creams made their debut in the UK a couple of years ago, and quickly made a huge impact on the beauty industry. Sometimes referred to as Beauty Balms, or Blemish Balms, the creams usually provide moisturisation, SPF protection and sheer coverage as well as soothing and heeling properties, which reduces the need for other products – making them ideal for summer weather so that we can allow our skin to breathe. Texture wise, they don’t differ too much from Tinted Moisturisers, however it’s been noted that most BB creams contain ingredients like hyaluronic acids and antioxidants which work to clear the skin. There are so many on the market, and sometimes the tinted moisturisers simply can’t be beaten, so here I have chosen my fave favourites, including BBs, CCs and Tinted moisturisers. I mentioned this in my Holiday Beauty Essentials post a few months back, and am yet to find a better tinted moisturiser for holidays. Like the other products in the GinZing range, this little moisturiser adds vitality and vibrance to the skin. It comes out the tube as a white lotion, but the little beads in it release the tint when it is rubbed in, giving a flawless dewy glow. It’s ideal if you aren’t ready to go makeup free on holiday, and the SPF 15 makes it perfect for wearing in the Sun. The first BB cream to launch in Europe, and still one of the best, the Garnier BB Cream Miracle Skin Perfector contains mineral pigments which create a flawless look, and the texture leaves skin looking radiant and moisturised. It doesn’t completely conceal blemishes, but can be layered up on areas of redness. Giving a subtle sheen and with SPF 15, this is usually my BB cream of choice during Spring & Summer. This was my first ever Tinted Moisturiser, and back when my skin was more problematic, it used to be reserved for the last few days of holiday, meaning that the shade I have is far too dark for normal use! Now I use it when I have a bit of a tan, and it has a similar finish to the Garnier BB, but with longer lasting power. If you are confident to wear a tinted moisturiser for a special occasion, this is the one to reach for. First of all, what a great name! This CC cream from Origins is very easy to blend, and is ideal if applying in a rush. I keep it in my handbag for touchups when I am out and about – yes, sometimes even when on the tube! It gives a demo-matte finish which I love when it gets warm and clammy in London. It won’t hide blemishes that well, so some additional concealer may be required on problem areas, but works well to even out skin tone and reduce the appearance of redness. With enough coverage to satisfy good skin days, the NARS tinted moisturiser is an ideal ‘tinted moisturiser for beginners’ as it delivers all the benefits of the usuals, and has the widest shade – range. This product ticks all the boxes; adds glow, provides moisture, and delivers a hint of tint! If you have oily skin, you may need to touch up with some powder, but overall this is a great Tinted Moisturiser to start with if you are new to them! Have you tried BB creams / Tinted Moisturisers? Which is your favourite?